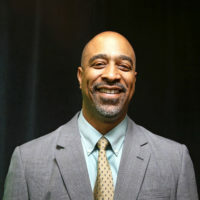 As Deputy Managing Director for Philadelphia’s Office of Transportation and Infrastructure Systems (oTIS), Michael A. Carroll, P.E. is a creative and nationally respected leader with more than 25 years of experience in transportation. In this role, Carroll leads oTIS staff in developing strategies and implementing policies to build a safe and equitable multi-modal systems across Philadelphia’s diverse and vibrant neighborhoods. Deputy Carroll coordinates and sets the policy direction for critical functions, including the Streets Department (both Transportation and Sanitation), the Philadelphia Water Department, as well as the newly created Office of Complete Streets. His oversight includes infrastructure systems that are made up of more than 9,500 transit stops, 2,575 miles of street, 320 bridge structures, 450 lanes miles of bike facilities, 1,000 Indego bikes and 100 Indego stations, and 6,500 miles of sewers and water mains. Deputy Carroll also coordinates with internal city departments, external agencies such as SEPTA, PennDOT, Amtrak, and the Delaware Valley Regional Planning Commission, as well as with policy makers on the local, state, and national levels. Deputy Carroll graduated with a Bachelor degree in Urban and Regional Planning from Cornell University and proceeded to earn Master’s degrees in Transportation Engineering and Transportation Planning from the University of Berkeley.